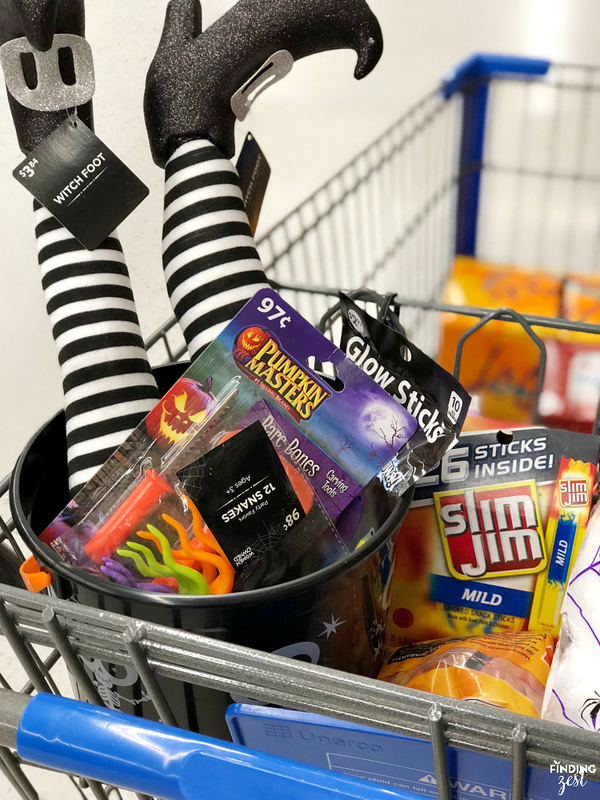 Thank you to Mirum for sponsoring this Halloween post! All thoughts are my own! I love watching my kids’ joy as they dress up in a special costume and head out trick-or-treating on Halloween. 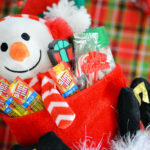 I can’t say that I love how much candy they receive. 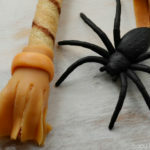 For Halloween night and the days that follow, I limit how many pieces they are allowed which helps avoid over indulgence. As a candy lover myself, I’m not immune either. 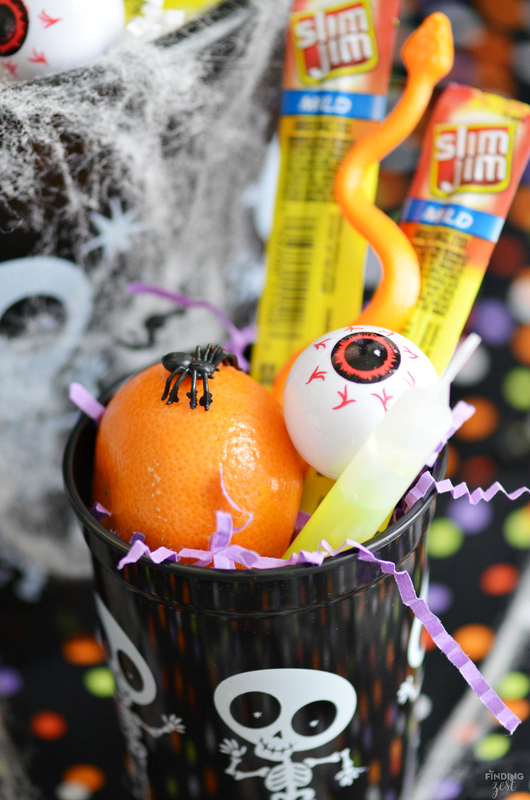 This year I surprised my kids with this fun Halloween bucket filled goodies that won’t rot their teeth. 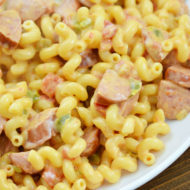 And they loved it. 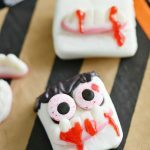 Check out these non-candy Halloween gift ideas for kids! This week my kids came home from school to find this display waiting for them. Trust me, they were thrilled. Putting it together was really easy and fun. I had a few items on hand already but I headed over to my local Walmart to gather the rest. I couldn’t resist the witch’s feet and I knew my kids would think they were cool. 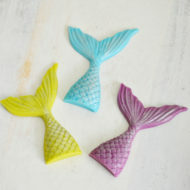 They won’t work for outdoors but I can think of plenty of places around my house to put them! 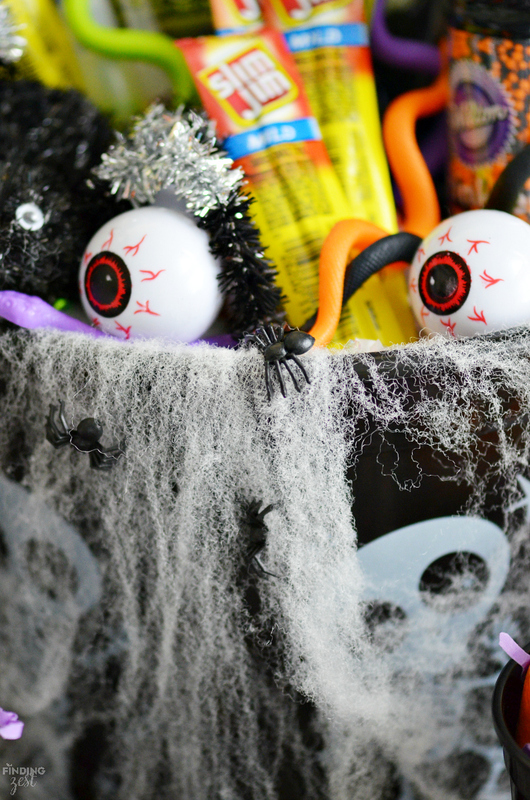 I picked up a few other Halloween essentials like a pumpkin carving kit, glow sticks and of course a something to put everything in. Walmart had a ton of different bucket options like this one for only a dollar. 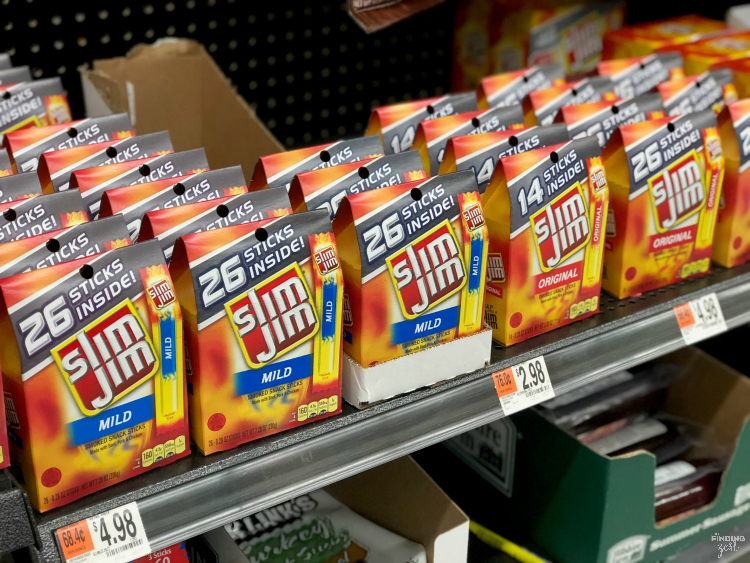 I still wanted to include some non-candy snacks so I grabbed some clementines and headed to the snack aisle to pick up a box of Slim Jim Smoked Snack Sticks. 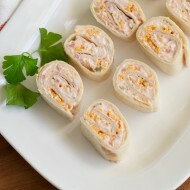 The smaller sticks are a perfect snack size for my kids and they love the mild flavor. 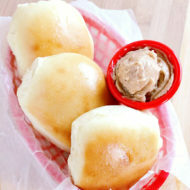 My middle child especially loves these for snack time. 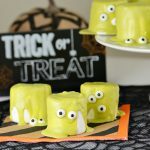 Other items included some sprinkles for our Halloween baking and eye ball ice cubes which will be perfect for some spooky drinks. I filled the bucket with some crinkle paper and covered it with spider webs. 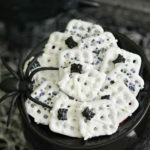 I happen to have some plastic spider confetti from Walmart I picked up last year. They attached easily to the spider webs and looked so creepy. 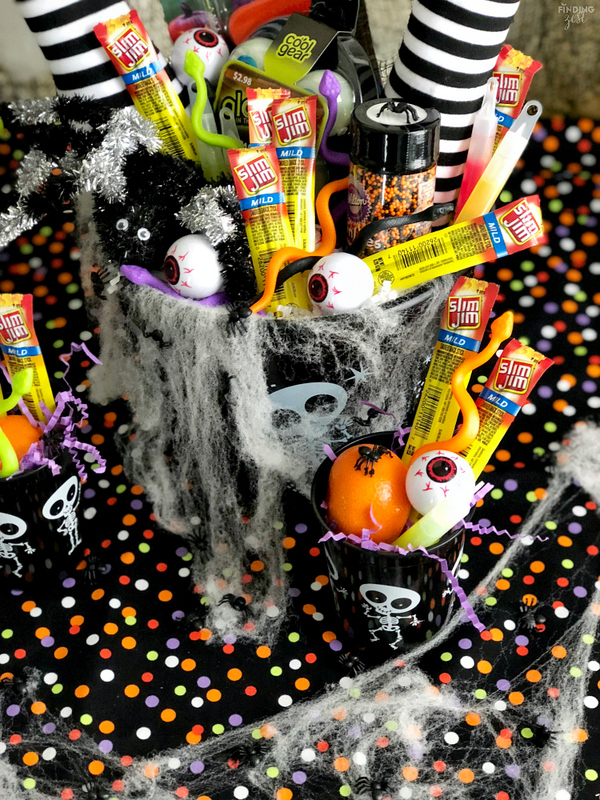 Plastic eye balls, colorful snakes and Slim Jim Snack Sticks worked great for filling in the gaps and added a lot of color. I really wanted to set the scene so I added additional black netting and webbing with spiders over the window. For the table cloth I just used a couple of yards of fabric I picked up from Walmart. 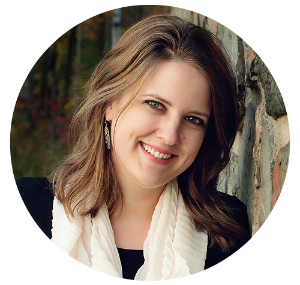 It is a very affordable and reusable option, year after year! 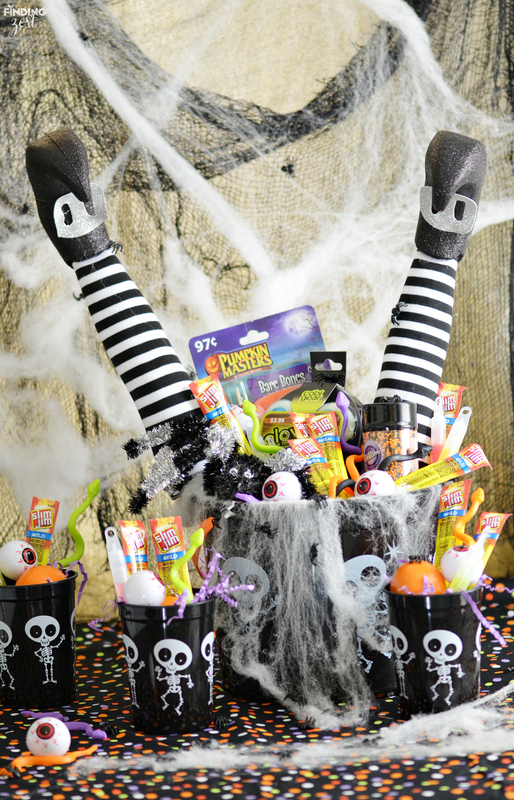 What would you put in your Halloween bucket? 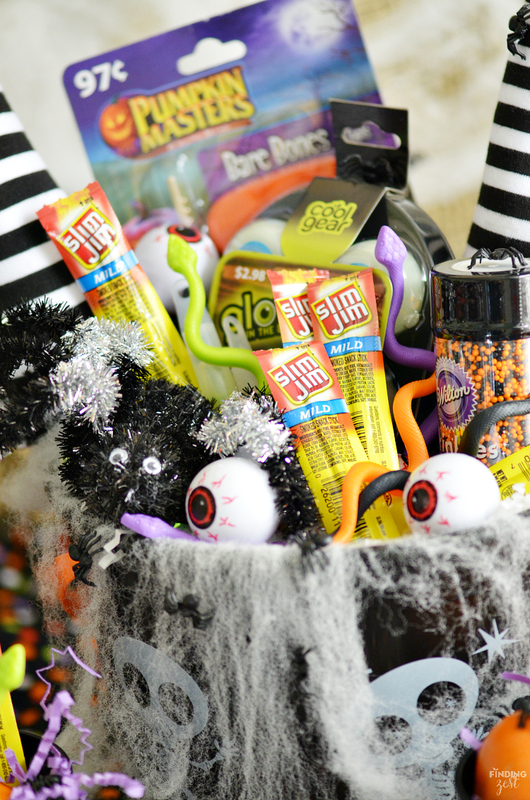 Slim Jim is offering you the opportunity to build your own virtual spooky bucket for the chance to win a prize pack valued at $500 in the Hungry for Halloween Sweepstakes*. 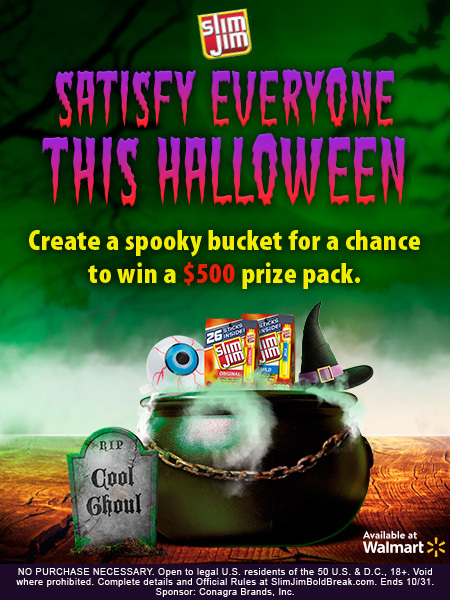 I scrolled through all the options and created my own “Cool Ghoul” ghost bucket. 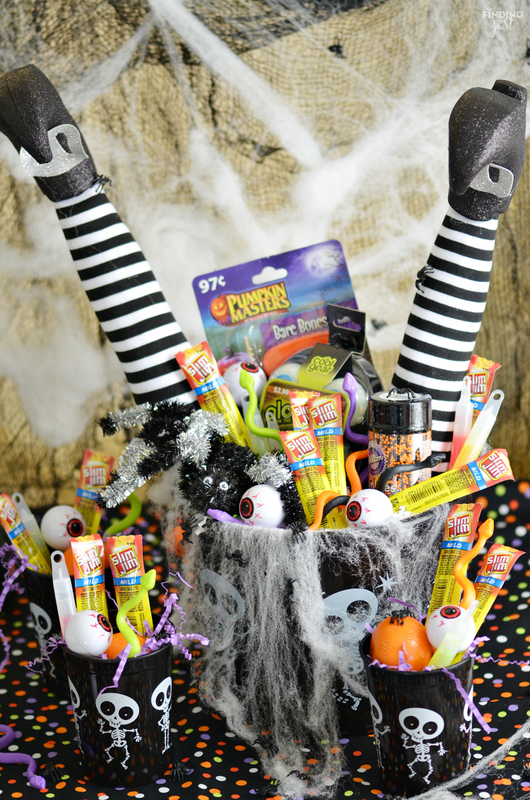 I hope these gift ideas help you to create a Halloween bucket for your kids that they will love! 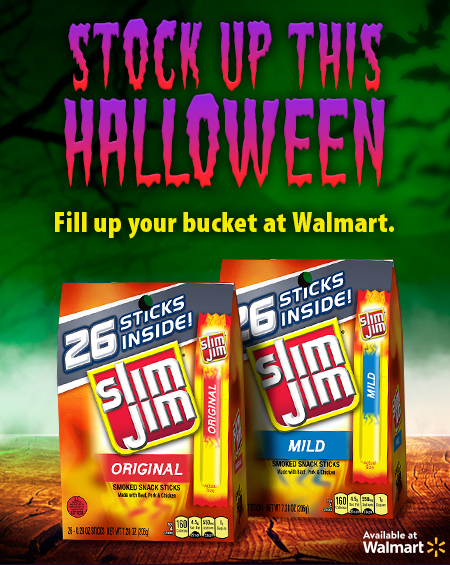 Head over to Walmart for all your Halloween essentials and don’t forget to pick up some snacks like Slim Jim, perfect for your kids and trick-or-treaters. *NO PURCHASE NECESSARY. Void where prohibited. 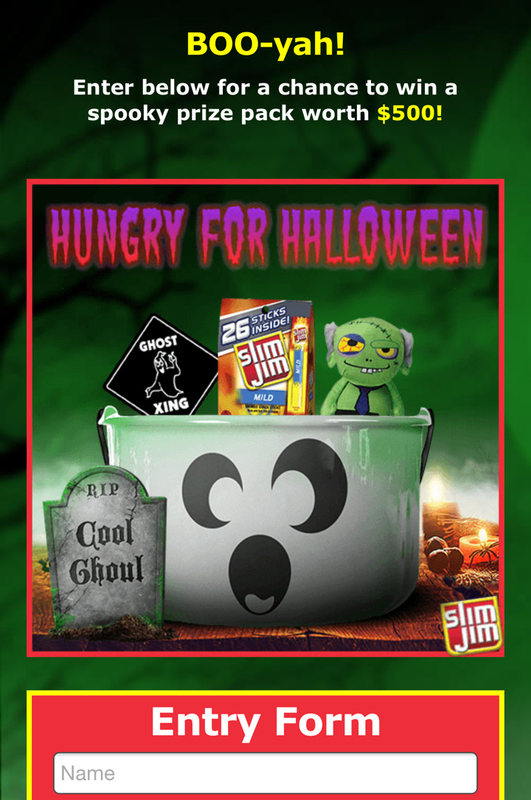 The Slim Jim Hungry For Halloween Sweepstakes is sponsored by Conagra Brands, Inc. Open to legal U.S. residents of the 50 U.S. & D.C., 18 & older. Begins 12:00 a.m. PT on 10/5/17 & ends 11:59 p.m. PT on 10/31/17. 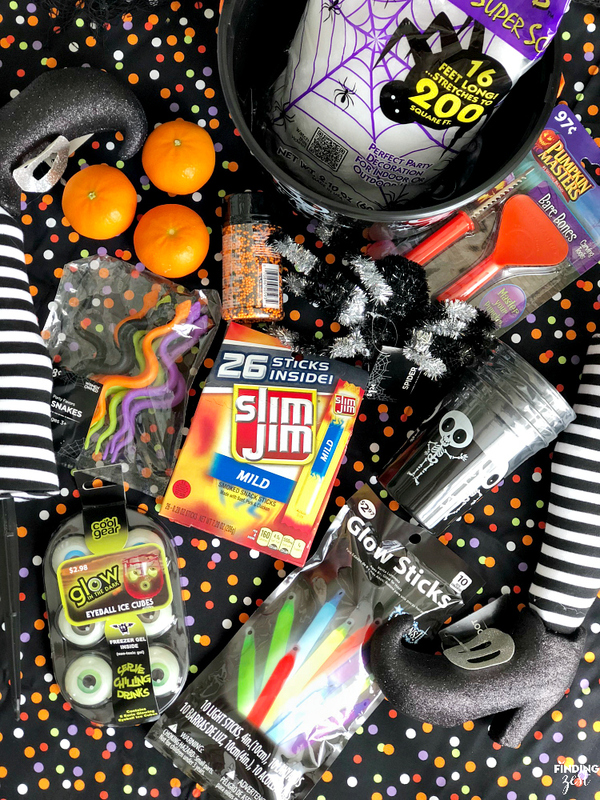 Four potential winners will be randomly selected to each receive a Hungry For Halloween prize pack worth $500. Total ARV: $2,000. Odds depend on number of entries. 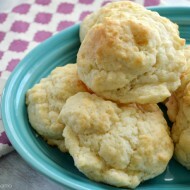 For full details visit SlimJimBoldBreak.com. « Get the Benefits of Coconut Water Without the Taste!